“Out there, invisible, are stories waiting to be told,” says Gooney Bird Greene, a spunky and mature-beyond-her-years second grader, a character from Lois Lowry’s short novels. In this wonderful story, Gooney Bird Greene, a new second grader at Watertown Elementary, helps the students in her class learn the value of storytelling. Ever since reading Gooney Bird Greene while completing my Masters, I include it in my story unit each time I teach it. The kids love it, and I cannot help but love it more each time I read it. In a world filled with standardization and mastery learning, it is more important than ever that children are able to find a voice through their education. While I am a firm believer in the Common Core and standards-based learning, I am not sure I agree with the idea that most of our writing should be expository or persuasive non-fiction by the time students reach middle school, and I most certainly believe that every lesson of a child’s education cannot be neatly packaged into a finite standard or objective. I don’t doubt the importance of speaking knowledgeably about various topics and composing an informed argument, but I think we, as a society, underestimate the power of the abstract and the immeasurable. Further, we underestimate the power of a story. But why are stories important? Many will ask this question and counter all arguments with the idea that, in order to be ready for college and careers, all students need to be able to write informational and expository non-fiction, so that they may compose reports and construct valid arguments on a variety of topics. Without a doubt, those things are important, but I argue that being able to tell a story–or maybe being able to tell your story–is just as, if not more, important than the other genres. 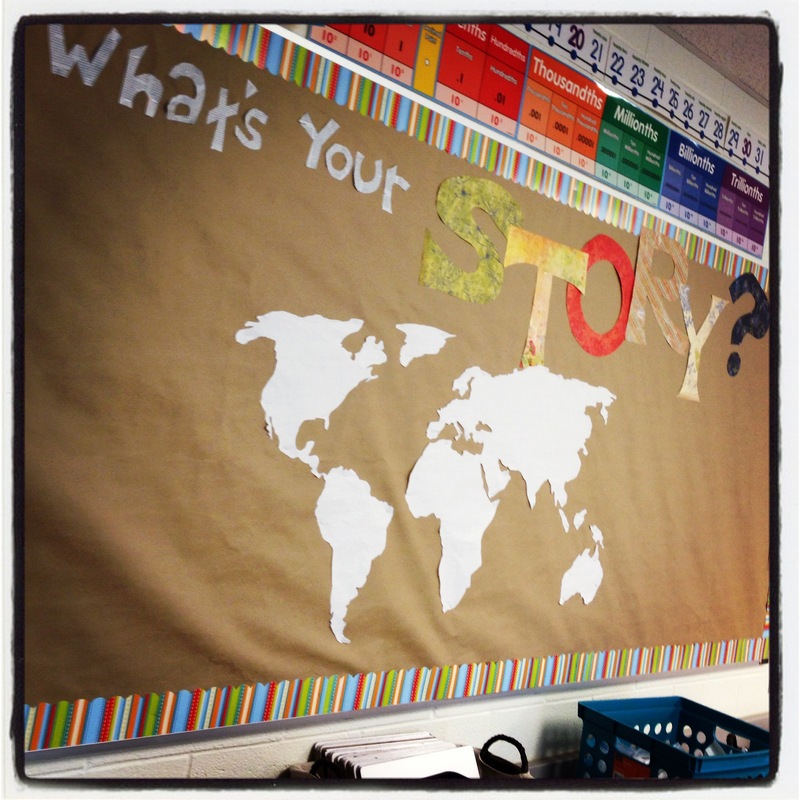 When I began my unit on stories this year, I started by simply asking students what a story was. Many of them stated that it was a book that had a main character, a problem, and a solution, but as the unit progressed, my students saw that it was much more than that. My students saw that a story is not only a way to entertain readers; it is a creative way to teach us something. It uses complex characters and interesting plot lines as conduits for universal lessons–lessons with which we all can empathize and connect, making our experiences much more real and validated. And by the end of the unit, the students began to see even more than this. They began to see that multiple stories, no matter how different their plot lines, characters, or their situations might be, had similarities in theme and structure, and that all stories have a way of communicating a bigger message–a message that really leaves the concrete seemingly irrelevant. In essence, it never even really matters who the literal characters are or what the actual plot of the story is; what really matters is what the reader brings to it and what the reader can, in turn, take away from it. Perhaps that is why there is no formula for a “good” story. Good stories are ones with which we can empathize and connect. In fact, in the best stories, I believe that we see so much of ourselves in the characters, that we identify with their plight and truly understand their struggle, making us much more connected to and invested in their success. It’s funny, while many students choose to write about imagined experiences or “fiction,” many of their real experiences are embedded within the writing they do. I had one student, in particular, who I know was struggling with friendships, create a story called Frenemies, in which all of the characters learn about the importance of friendship, while another, who struggles with learning to be independent, wrote a story entitled Mr. Ferland, in which each of the main characters are afraid of their teacher leaving, but in the end, learn that they could accomplish what they wanted to all along without him around. You see, telling stories, whether they are real or imagined, allow us an outlet through which to communicate our worries. They allow us to create worlds with other people who are just like us–people who understand us and the struggles we go through on a daily basis. And this is just what kids need. Kids need to be able to communicate their experiences, both real and imagined, to let them cope with the realities they face every day. Kids need to know that telling our own stories is important, and that telling our stories can possibly help someone else in need. Stories are one of the best ways to help kids find their voices, and they’re one of the best ways to let the world know who they are and what’s important to them. …if you simply give them the chance to tell their story.